At first glance, Nirvana and Bobcat Goldthwait appear to have very little in common. But, think again and the similarities come rushing in: Both, for example, were important in shaping the direction of 1990s entertainment, both communicated their art through lots of growly sounds and raw onstage energy, and both, it turns out, were involved with making a landmark MTV Unplugged performance a reality. 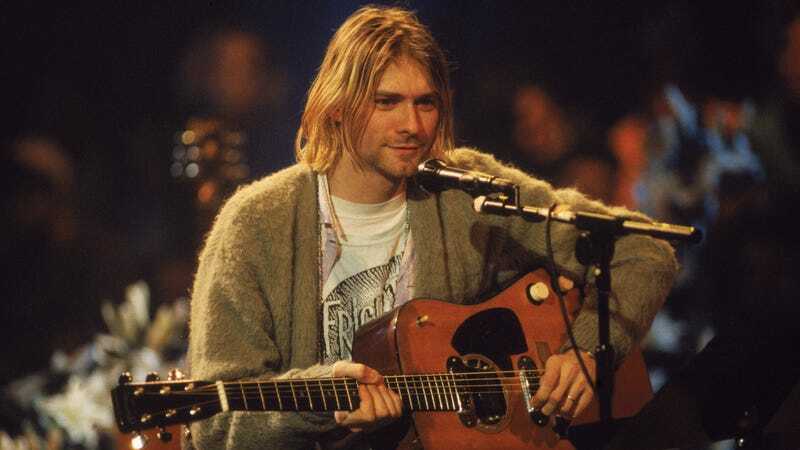 An oral history of Nirvana’s MTV Unplugged In New York by Alan Siegel over at The Ringer has unearthed plenty of interesting trivia about the concert. There’s good stuff about Krist Novoselic’s disappointment that he couldn’t slap stickers all over the acoustic bass he borrowed, giving Dave Grohl drum brushes as an early Christmas present as a polite hint that he not play so loudly, and memories of the show from the people in attendance. Elsewhere, Goldthwait talks about watching the show, remembering “the hair standing up on my arm” during Nirvana’s cover of Lead Belly’s “Where Did You Sleep Last Night?” and “getting like a beard burn [from when Cobain would] rub his face onto mine” during their hugs.